From St. George, Ut take I-15 North to Exit #16. Go South on SR-9 to the 2nd set of stoplights. 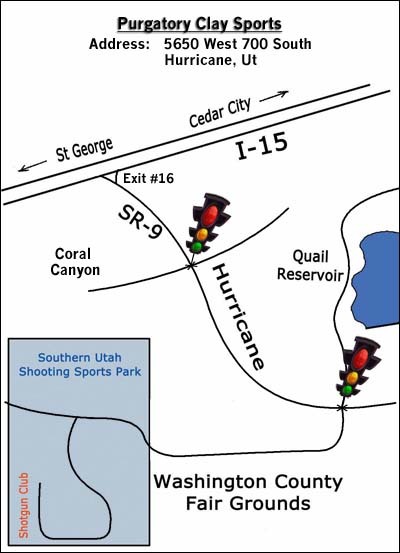 Turn right (South) and follow the Southern Utah Shooting Sports Park signs.